The state’s push to withdraw funding from the Greenway creates a difficult situation, conservancy officials said. The nonprofit conservancy that runs the Rose Fitzgerald Kennedy Greenway in Boston is resisting the Patrick administration’s request that it become 100 percent privately funded within five years, saying state money is necessary to run the downtown public park network. Conservancy administrators outlined a budget plan Tuesday that would reduce the state’s funding to $1.2 million by fiscal year 2018, down from the current $2.1 million. But the administrators said private donors have made clear that they are not willing to pick up the entire tab for park operations. “Private donors are willing to pay to make the Greenway excellent. They are not willing to take over what they believe is a state obligation to do basic maintenance on the park,” said Georgia Murray, chairwoman of the conservancy’s board. The Massachusetts Department of Transportation owns the roughly 13 acres on which the Greenway sits between Boston’s North End and Chinatown neighborhoods. It has a five-year, renewable lease with the conservancy. A spokeswoman for the department said the conservancy’s plan is a step in the right direction, but that it has to do more to raise money. “We continue to believe that with an aggressive fund-raising plan there exists a path forward for the conservancy to operate by fiscal year 2018 without direct cash assistance from the state,” said the spokeswoman, Cyndi Roy. The conservancy outlined its budget plan Tuesday in response to the transportation department’s request last January that it become financially independent. Transportation officials said the state is struggling to keep up with its core mission to maintain roads and the cash-strapped MBTA system, and must reduce expenses elsewhere. However, conservancy officials said the state’s push to withdraw funding from the Greenway puts them in something of a Catch 22, because private donors are saying they will not give more money to the conservancy unless the state continues to provide basic financial support. The conservancy’s primary method of raising more money is through the creation of a so-called Business Improvement District, or BID, in which commercial landowners agree to pay a fee to supplement public funding for maintenance and other services. Murray said the conservancy hopes to raise $1.9 million annually through the creation of the BID, with another $3 million to come from philanthropic donors and other private fund-raising. The rest of its roughly $6 million annual budget would then come from the transportation department, whose contribution would gradually decrease to $1.2 million by 2018. 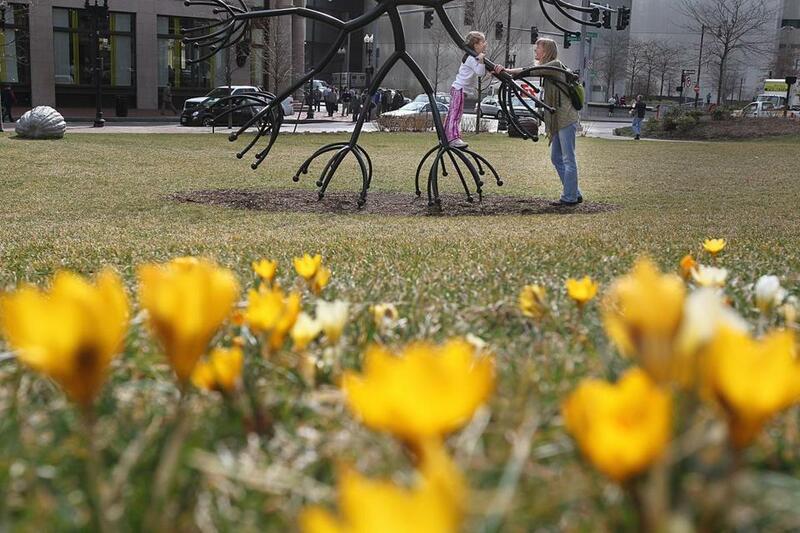 The money would pay for basic maintenance and horticulture in the parks, additional annual events and festivals, rotating public art displays, and a capital reserve to pay for repairs to the Greenway’s fountains and lighting systems. Conservancy managers said they are exploring efforts to raise more money by selling corporate naming rights to Greenway property or occasionally renting park space for private events.